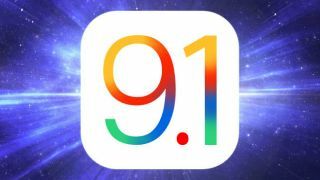 Apple has released iOS 9.1, the latest version of its mobile operating system, bringing with it several fixes and improvements for your iPhone, iPad, or iPod touch. The most obvious enhancement for most users will be the addition of 150 new emoji, including a hot dog, a unicorn, and, yes, a middle finger. (Strangely, there's still no pie.) Support for Unicode 7.0 and 8.0 emojis is included as well. Now you can give the one-fingered salute with ease. In addition, iOS 9.1 adds a trio of space-themed wallpapers, plus it improves the Live Photos feature of the iPhone 6S and 6S Plus: your phone will now sense when it's being raised or lowered so it won't record that footage as part of the animated photo. The other features of iOS 9.1 mostly fall into the stability and bug-fixing category, such as improved performance while in Multitasking UI and correcting issues with Calendar, Game Center, and Mail. To update your device to iOS 9.1, go to Settings > General > Software Update > Download and Install and follow the onscreen directions.